OK!!! 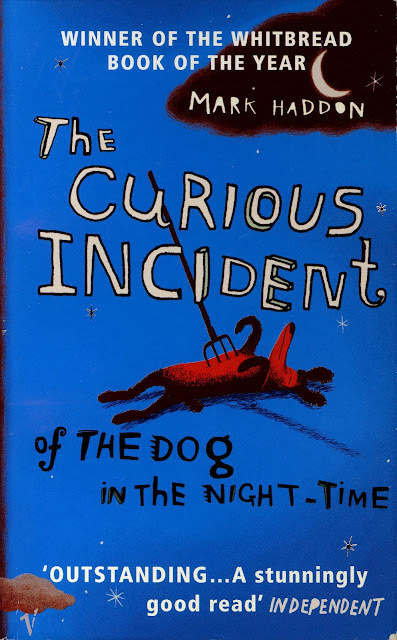 the complete name of the book goes here - "The Curious Incident of the Dog in the Night-Time" Phew that was a big name. Now coming on to the book the book is about and told from the perspective of a 15 year old boy named Christopher with Asperger's Syndrome. This book is really unique as it was the first time that I was reading the voice of a person with said syndrome. The blurb at the end may promise you a murder mystery but don't believe it because the mystery or what's there of it solved by the time we reach the half book. But yes as the cover promises the book does open with the description of a dog who has been stabbed with a garden fork. Who killed him and why that's what our unique hero tries to find out. He is unique as he loves red color and hate colors yellow and brown. The book is told from Christopher's perspective so it follows his life while he attempts to write a book and many chapters are description of the stuff what goes in his mind. Another wonderful thing is chapter number which doesn't go in a linear fashion but are based on prime number because its a book by and for Christopher and he likes Maths and Prime numbers so there they go. Christopher also plays the part of a detective overcoming many of his fears to find out the truth. Christopher loves dogs and has a pet rat. So if you want to read an award winning book, do read this one. It is funny, it is engrossing, it is a page-turner and it is full of scientific terms. This trilogy of books took me many months to finish, where in between they lay unattended in my bag. Then for the sake of finishing the book I would start again and would find something interesting and then I would read it continuously. So now that my rant is little bit over lets start with actual review. And yes since the Books are Huge the review would be little longer than usual. This trilogy of Books were written by Cornelia Funke originally in German and they have been translated in more than 26 languages around the world. This Fantasy series is a wonderful treat for Book lovers like yours truly. Every chapter in every book of the series starts with a small quote from a classic book many a times linking to the events of the Chapters. 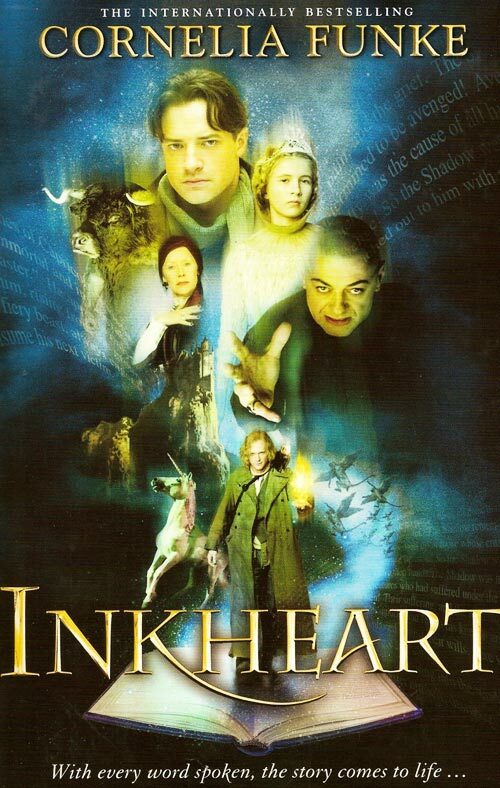 First book of Trilogy is called 'InkHeart', which tells the story of our Hero Mo (Mortimer) and his daughter Meggie. Mo works as Book Repairer, restoring old books and making new covers for them, but Mo has an extra-ordinary gift of Voice. Whenever Mo reads aloud from a Book, the character he is reading about would come alive in our world and as an equal transfer someone near by would go in the book in place of those. Mo's wife was disappeared one night when Mo was reading 'InkHeart' to Meggie. Yes! you got it InkHeart is the name of the book in the book which is central to the trilogy. When Mo's Wife was sucked into InkHeart it spit out three people from the Book, Capricorn, Basta and Dustfinger. Capricorn is the main villain for this book of the trilogy. 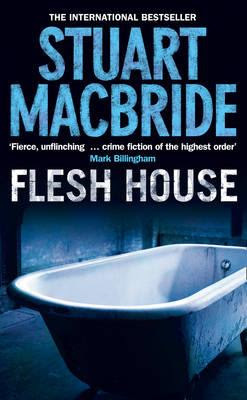 "Flesh House" is a crime thriller from Scottish writer Stuart MacBride set in Aberdeen a city somewhere in Scotland, I had never heard of the city before picking up the book so it was nice reading about a new city. So moving on the book is about a serial killer known as "The Flesher" and what he does is mixes human flesh/meat with the normal meat. When an abandoned container is opened, police founds out that it is full of Meat and almost 40% of it Human. Since Flesher hadn't struck in a long time, this puts all kinds of gears in motion. New police officers are called in from bigger cities to track and neutralize the serial killer. I didn't feel that the book was a page turner, may be someone from Scotland might disagree but the book seemed to drag at points. The mystery itself is quite good with the suspects who turn out to be innocent. And bigger surprises as so move towards the end. The book improves on the pace towards the end. All in all a nice book to pass the time. The book doesn't flow in a linear path and generally it's not a problem but its not executed that well. To keep this review short, I would say give this book a chance may be it would be more to your liking. Its my entry no. 4 for September on September 4, 2013 I hope to post a new blog entry every day on any one of my 5 blogs :). Let's see how many I am able to accomplish. This is a rare case where the book delivers what it promises. 101 Love advice answers and it delivers much more than that many answers are given in a very sincere way which actually makes sense and in between we get jokes and there are lot of jokes. If you have to read one comedy book buy this one. Few jokes would sound familiar but you will get many more which are new. The format of the book is like an extended advice column. The language is easy and conversational, you would think that either he is talking to the person or telling you a story from his numerous stage shows. I was provided a review copy by Hog Wild himself, now it doesn't mean that since he gave me the book I was bound to say good things, no I am bound to say good things about the book because it is a good book. You would not be bored reading this book and soon you would be reading the back cover and thinking that the book should have gone a little bit longer. I could go on and on about the jokes and advice given in the book but you should rather read the book than its review. I have decided to give this book 4/5 stars and I loved this book. I took away one star due to the familiar jokes and few weak portions in the book. 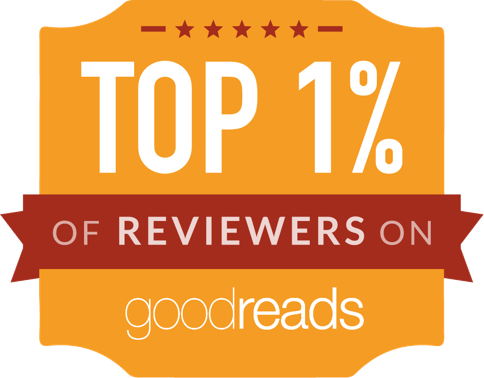 But 4 stars doesn't make a bad book, buy it you wouldn't miss the money you spend on it. 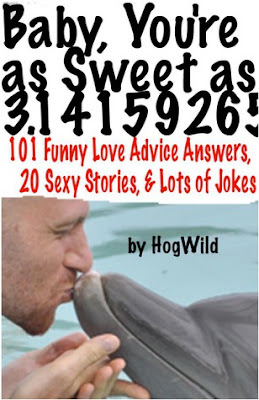 This is the first book by Hog Wild.